CAMPAIGN: With insight that spending an hour with a girl can boost her self-esteem for a lifetime, the Dove Self-Esteem Project provided #HourWithHer kits to help bring girls and their mentors together for an hour. Through workshops, social media, and the evolution of Real Beauty Productions season 2, the Dove Self-Esteem Project will continue to help build girls' confidence and give them the emotional tools to feel and be their best. 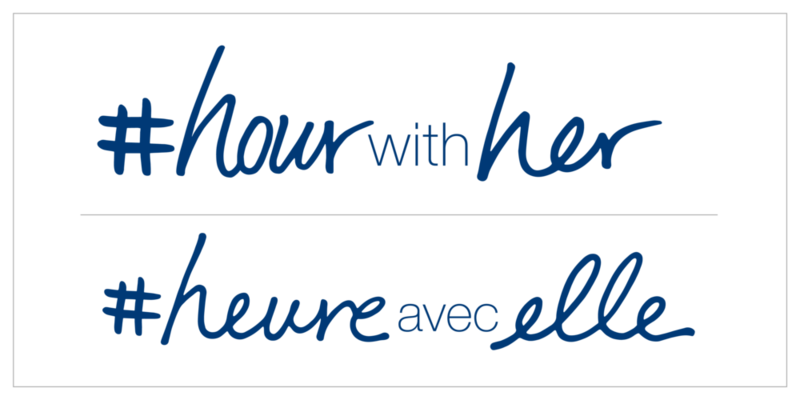 As the sibling to Real Beauty Productions, HourWithHer had to have a logo that felt similar but as unique as its mission. Custom handwriting pairs with Helvetica Neue and is versatile in order to reach a variety of markets. #HourWithHer kits were filled with notepads, post-its, and instructions for mentors and mentees to follow for their own hour. The kits launched at a workshop held on International Women's Day to start the conversation about building the self-esteem and confidence of girls today.